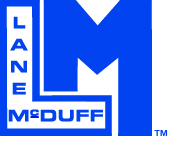 Lane McDuff Sales is now Blevins, Inc.
New Products Added To Our Inventory! Effective January 1st, 2015, Lane McDuff Sales is now officially Blevins, Inc. Since the acquisition on June 27th, 2014, Blevins, Inc. has invested its resources and increased our inventory levels in order to offer our customers full line coverage. Blevins, Inc. has been serving the Manufactured Housing Industry since 1957 and is the largest distributer to the manufactured housing aftermarket in the United States. Blevins, Inc. was built on excellent customer service and dependable, weekly delivery service. We look forward to serving the Texas community and exceeding expectations for many years to come. Click To View Our Website! What Our Customers Say About Blevins, Inc.
"Blevins, Inc. is a great company. It is easy to place orders. My driver is great and always helps. Our sales rep is fantastic too! We love Blevins, Inc!" "We have been a regular Blevins, Inc. customer since February, 1998. Blevins, Inc. offers excellent, personalized customer service and has everything we need to maintain our large inventory of manufactured homes." "Blevins' minimum order amounts gives shed builders flexibility in design offerings, and the ability to order only what is needed. We can send products back without a fight from freight companies in the event a product is damaged." © 2019 Lane McDuff. All Rights Reserved.